A request for Wyrm. 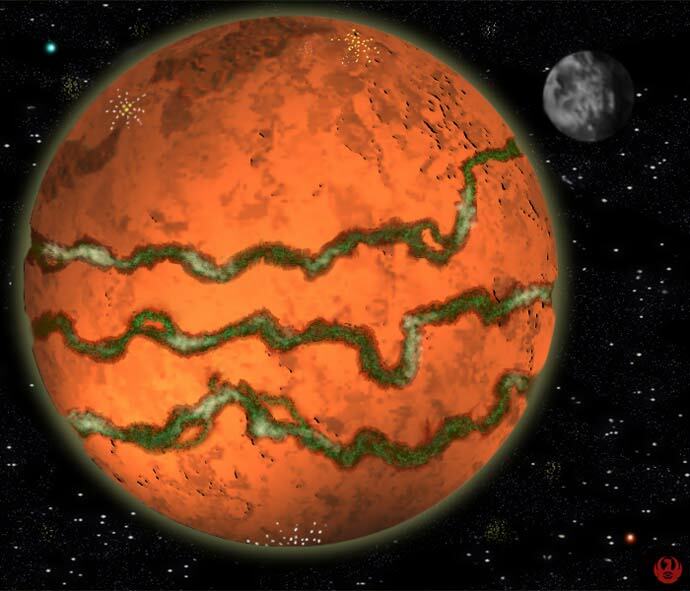 Vion 3 is a planet circled by a single large chasm that is supplied by an underground water source. As a result, forests have sprung up along the chasm. The 'spidery' like lights are actually gargantuan refineries that dot Vion's surface.